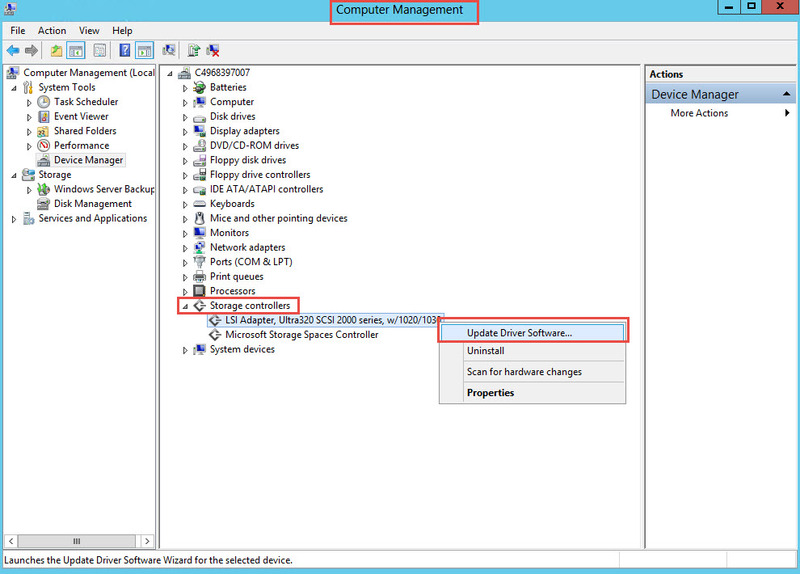 CloudShare provides numerous templates that are updated on a regular basis. 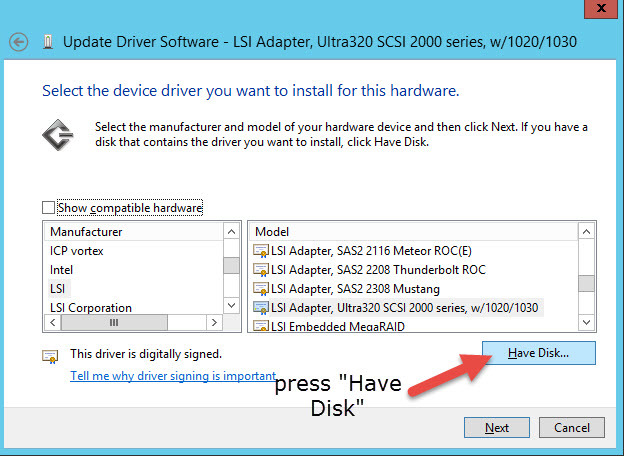 However if you need to upgrade a server you have already worked on and it must be Windows Server 2012 R2, you may see an error referencing a storage controller or driver. This is a very specific error that only arises in certain circumstances, however may apply to other environments as well. CloudShare is in the process of updating these templates wither with R2 or with the driver update. 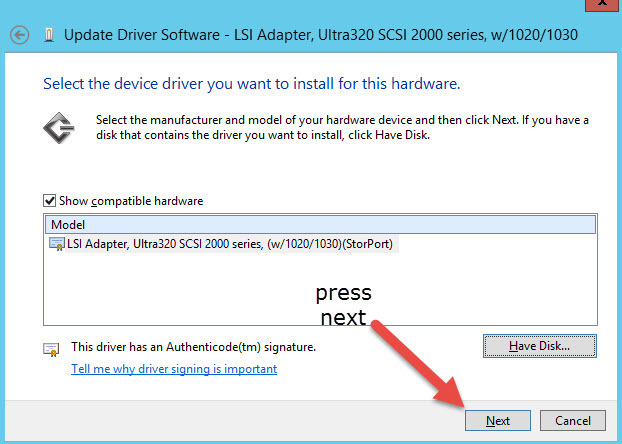 In the meantime, the steps to update the driver manually are below. Microsoft has a reference to this known issue on TechNet. 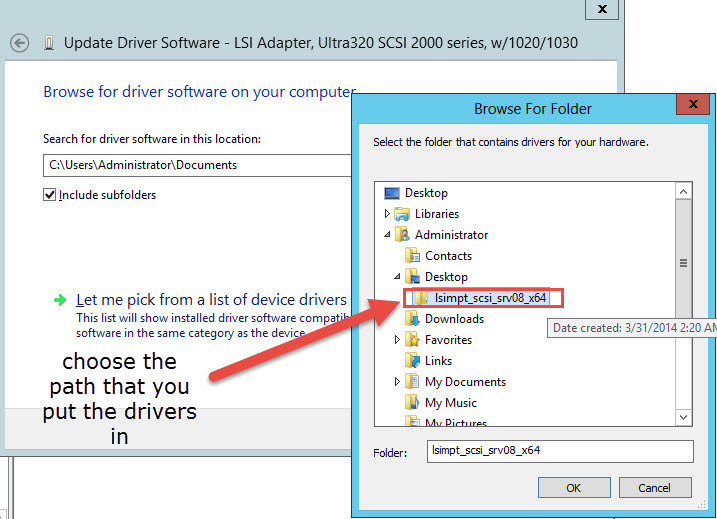 The resolution is to simply update the driver for the storage in use. 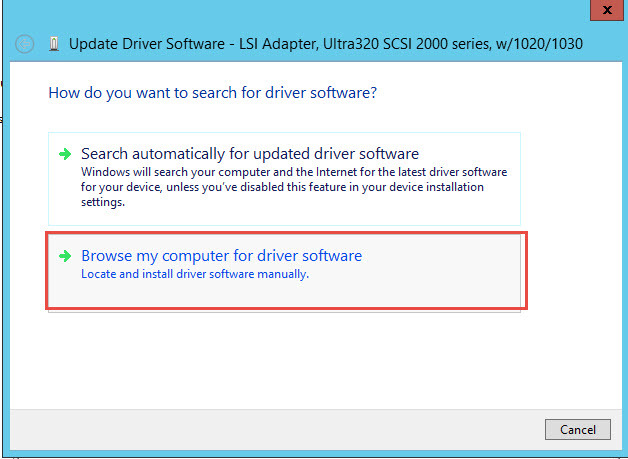 An automatic update will not provide the correct driver, so you will need to manually select the driver to update. 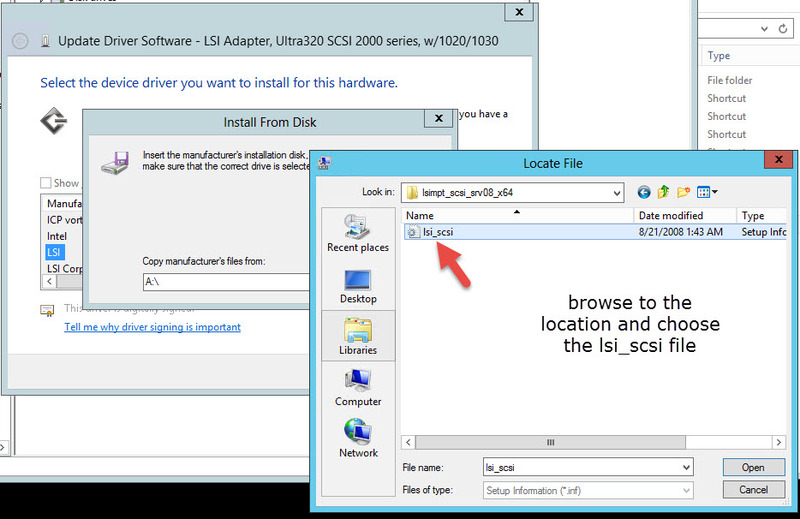 A zip of this file (lsimpt_scsi_srv08_x64) is attached below. Before proceeding, first take a Snapshot! Complete the installation and reboot (this may take a few minutes. If you are unable to connect via RDP, switch to CON (console) to see the current state of the VM. 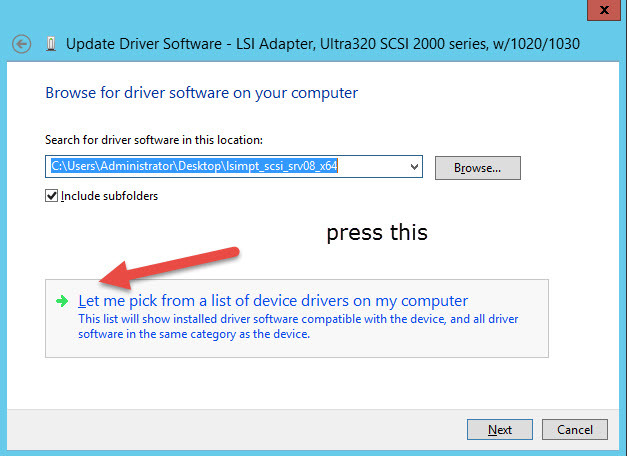 Then update the network settings with those you saved in step 2. Switch back to RDP if necessary and take a new Snapshot if everything is working well and you are able to complete the steps to update to R2.